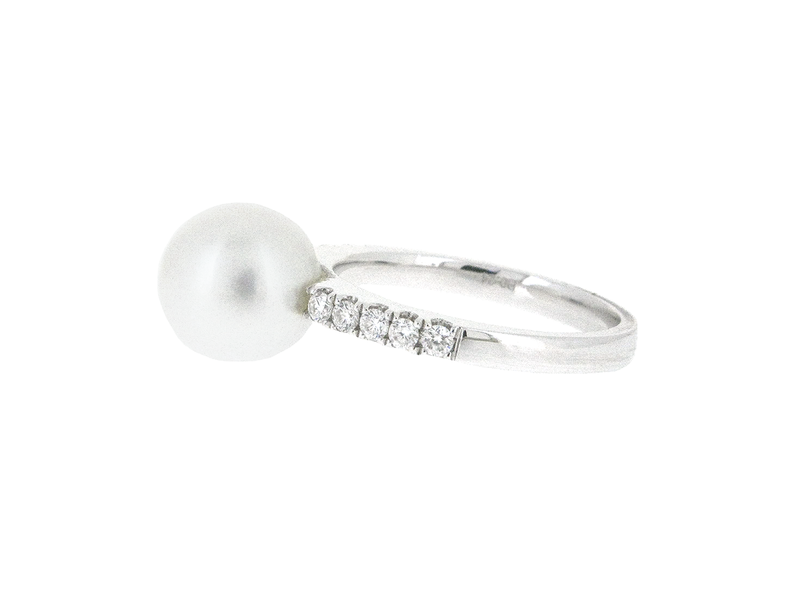 An 18k white gold South Sea pearl and diamond ring. 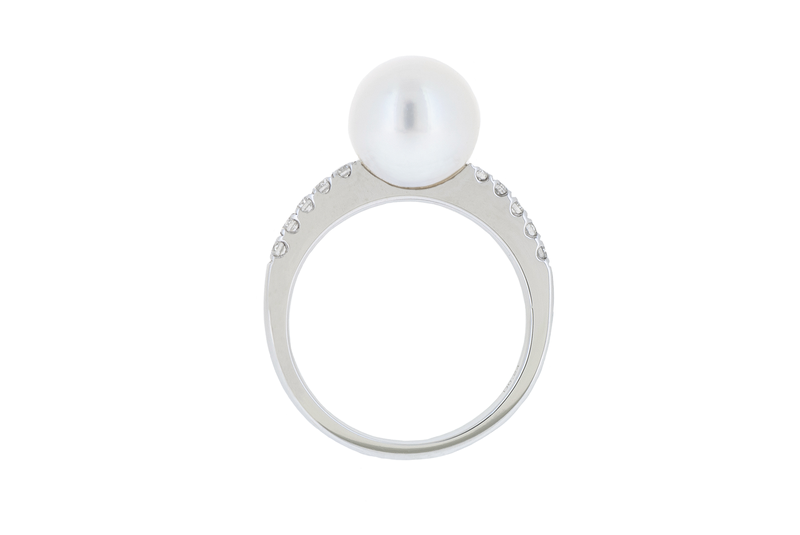 The ring is claw set with 10 round brilliant cut diamonds on the band and a 9mm round South Sea pearl in a classic design. 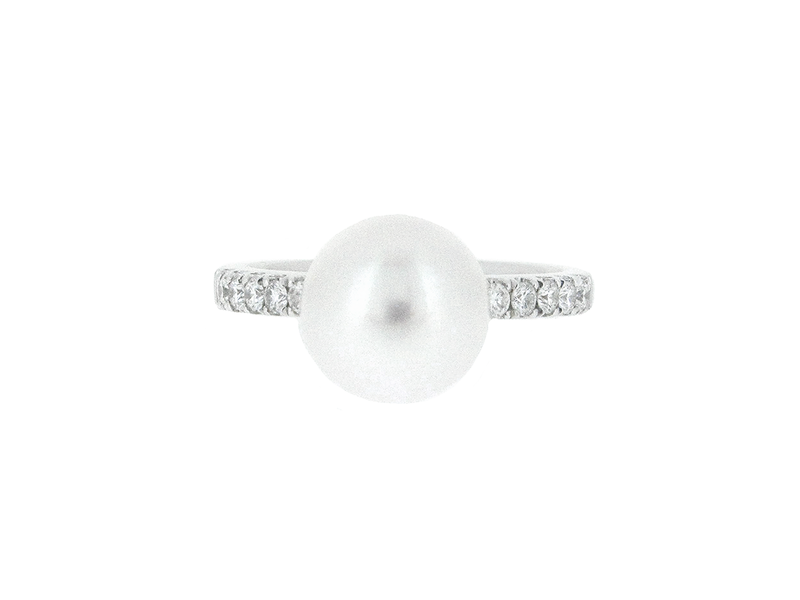 Looking for a complete set? Check out this strand necklace and pair of earrings.